e.l.f. 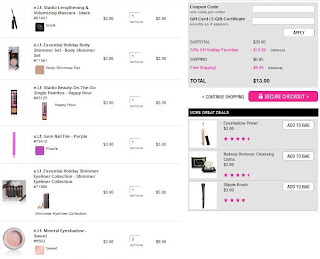 Cosmetics: 50% off + Free Shipping! Prices Start at $3! See What I Got for $13! Today only, e.l.f. 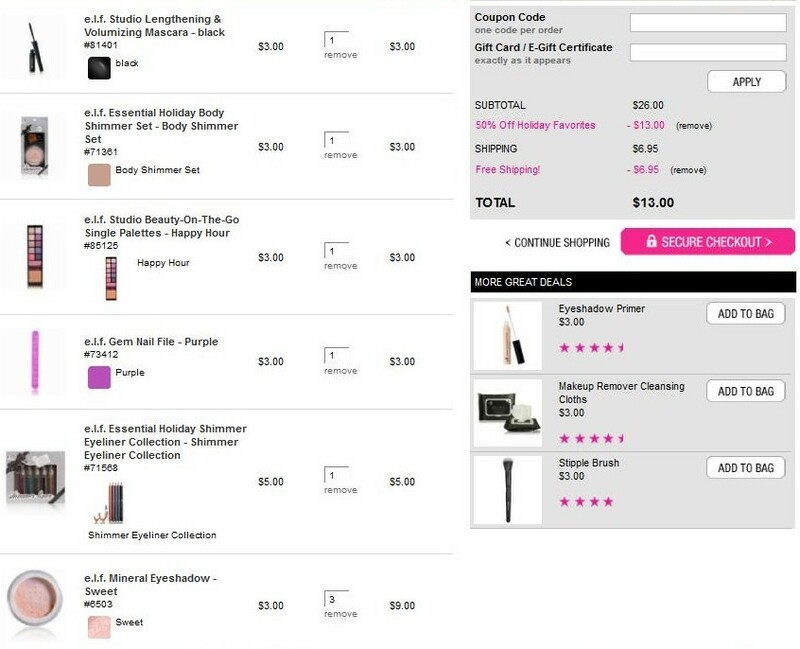 Cosmetics is offering 50% off and FREE shipping on their entire Holiday Favorites Collection! Tell me that's not an awesome deal!